Quality products are the result of focused effort. This blog entry will be a posting from AMSOIL’s technical development VP – Dan Peterson. Dan is one of the people behind the exciting direction AMSOIL is taking in the enthusiast market. claims. AMSOIL is simply devoted to delivering the best value possible, day in and day out. I would like to have a list of AMSOIL-like companies so I wouldn’t have to search around for who makes the best stuff and who I can count on for the long term. chooses an AMSOIL product, that customer can be confident it provides the best value possible. for the next 15 years. We start with a different challenge: How do we make products that significantly exceed technical requirements at a price point that customers can afford. If you start with this challenge in mind, you get pretty good at making products that significantly exceed minimum technical requirements at an affordable price. By always pushing the limits of what can be done technically, we can break barriers and build new value into products that couldn’t be done if we focused solely on cost optimization. 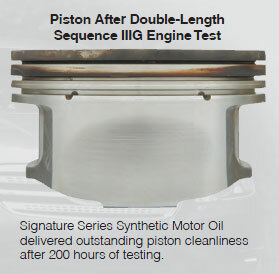 One of these new plateaus was recently reached at AMSOIL with the first successful double-length sequence IIIG test. the ability of the motor oil to resist thickening and keep the engine clean. Our Signature Series 5W-30 product was tested in a planned double-length test (200 hours) to see if it could reach this summit. Not only did it pass, it did so with flying colors. You can expect to see the results from this test in the very near future. We do not know of a commercially available motor oil that has ever reached this mark. Not that they would be striving toward this goal if they are continually getting really good at making more money by meeting the minimum requirements. Note – Since Mr. Peterson wrote this the Sequence IIIG test has been published. 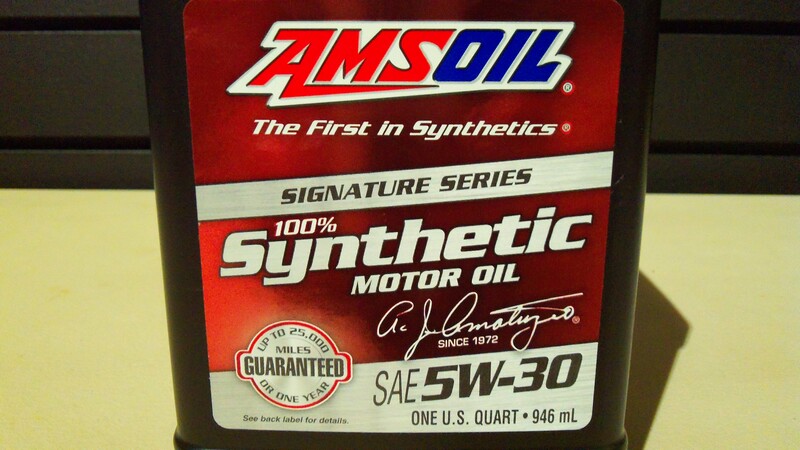 You can see the results by following this AMSOIL Technical Test Link to the 5W-30 Signature Series Test – OR see all the recent published performance tests using this link. This may have been the first blog post I should have written because the best seller of ours is also the one which sets the benchmark for the industry. Although the AMO 10W-40 was AMSOIL’s first product, the 5W-30 is certainly the most popular and of course the one which has had the most scrutiny. 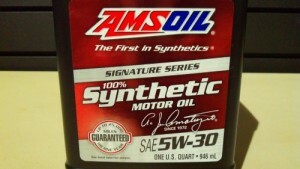 AMSOIL’s Signature Series 5W-30 is one of the only 100% synthetic lubricants widely available on the market. Once you know about it and the finite details of it’s capabilities as a lubricant, problem solver and time saver there’s no turning back!! Unparallelled protection under the most extreme conditions (Saved repair costs). The main feature of the Signature series line trumps all the benefits in my opinion and that is performance. You can actually tell a difference when running this oil over any of our competitors. The reason is simple. You can print out the data sheet which follows this link to see the properties. One particular use I suggest the ASL 5W30 (ASL is the product code to identify this product) is for older cars which you may not know the history of. Assuming the motor was at one point briefly overheated or for various reasons fuel made its way into the crankcase (in modern vehicles which run hotter than prior decades have more fuel dilution issues than ever before), you need to assume there are deposits. Deposits and the sludge which forms deposits become highly acidic when combined with moisture. This results in acids which are 1/3rd of the cause for engine wear. Only a high quality motor oil like AMSOIL’s Signature Series will neutralize this. There are varying quality levels of the additives. AMSOIL only uses the best performing additives and in this case we are talking about the detergent which unlike our competition, will fulfill it’s duty over that long oil change interval. In that older or not-so-well maintained engine the AMSOIL Signature Series will halt the expansion of more deposits as well as halt the wear that has resulted from. The product will also significantly reduce the stress on components which the competing petroleum based synthetic or standard petroleum oil has caused. Of course our detergent based engine flush is recommended first to further allow our detergents to have more effect once the existing deposits are neutralized. So if you can really push a new or good high performance engine to unheard of extremes using our motor oils, it’s really the cars & trucks you really depend on which need this. 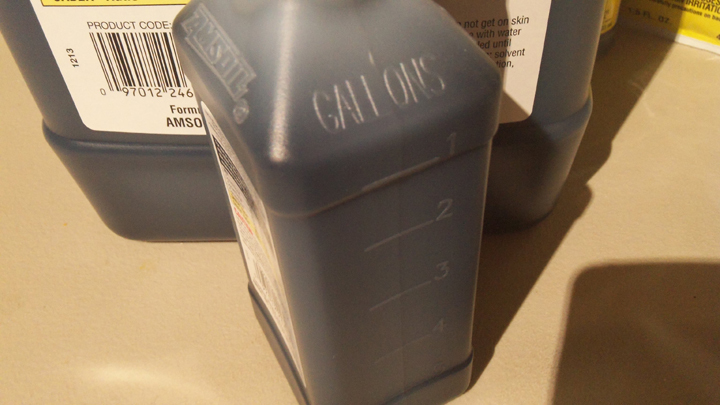 That 85 Chevy Caviler or Geo Metro can see another 100,000 miles just by adjusting your oil! Oil in standard and double-length Sequence IIIG Engine Tests. Great for high mileage engines. 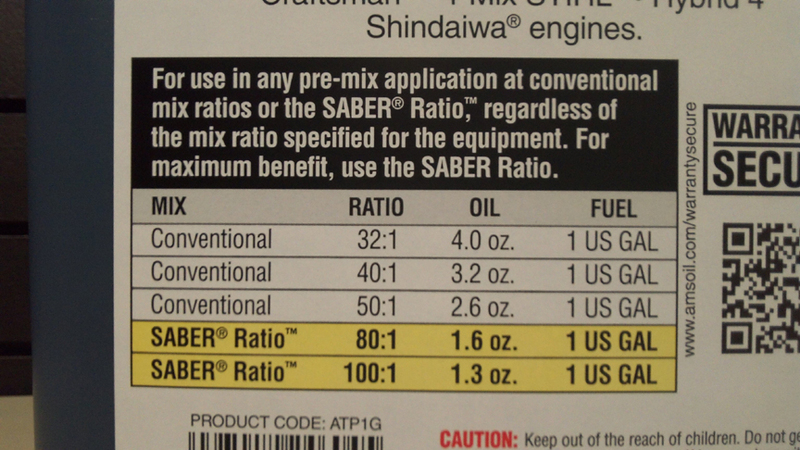 Actually all motor oils should be for high mileage engines but just knowing the fact that one manufacturer would make an oil strictly for that, one could assume the others are not and by that you could assume the oil’s detergents are not up to the task. To answer one of the most popular questions – yes, you can use this in any age of motor. AMSOIL is developed so that no compatibility issues occur. The average customer who switched to our gasoline motor oils has about 130,000 miles. As an AMSOIL dealer we are always excited to hear from our new customers after trying our top tier products. Their impressions serve them as lifelong customers! If you are looking to buy in our Sioux Falls store and have specific questions I can save you some time. Call me directly and I can help you know what to look for before you arrive. My direct number is 605-274-2580. As for product info AMSOIL’s website has a great resource for looking up products. Use this link to open the tables and cross-reference pages for all vehicles and equipment. One product we see a lot of return sales is of the MOB (Motorcycle Octane Boost) The chemistry differs from the car version and really makes for a punch when temperatures are climbing. It cleans and raises octane all at once. What is AMSOIL Motorcycle Boost (MOB) and what benefits does it provide? AMSOIL Motorcycle Octane Boost is a fuel additive designed to increase octane in fuel. Higher octane fuel can lead to more powerful and efficient engine operation. Motorcycle Octane Boost also cleans combustion chamber deposits for increased performance at startup and helps eliminate engine ping or knock for more power at low RPM acceleration. How much boost does AMSOIL Motorcycle Octane Boost provide? AMSOIL Motorcycle Octane Boost typically responds better in lower octane fuel and in fuel that contains ethanol. When treated at 1.3 fluid ounces per gallon in 92.6 Research Octane Number (RON) unleaded gasoline with 10% ethanol, Motorcycle Octane Boost increases fuel up to 3 RON, boosting 92.6 RON fuel up to 95.6 RON. Is AMSOIL Motorcycle Octane Boost compatible with catalytic converters and oxygen (O?) sensors? Yes, at the recommended treat rate Motorcycle Octane Boost is registered with the EPA and is safe for use with catalysts and O? sensors. What is the treat rate for AMSOIL Motorcycle Octane Boost? Are there are issues with overtreatment? One 4 ounce bottle of AMSOIL Motorcycle Octane Boost treats four to six gallons of gasoline. Slight overtreatment causes no issues, but significant overtreatment is not recommended. 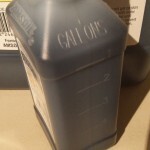 How does AMSOIL Motorcycle Octane Boost help improve fuel economy? Deposits frequently form in motorcycle engines and Motorcycle Octane Boost contains active detergents that clean deposits in combustion chambers and fuel delivery systems, helping improve fuel economy and overall performance. Motorcycle Octane Boost also helps protect fuel delivery systems from corrosion. What is the primary market for AMSOIL Motorcycle Octane Boost? Motorcycle Octane Boost is primarily recommended for use in four?stroke air? or liquid?cooled motorcycles. Motorcycle Octane Boost is formulated for motorcycles manufactured by: Harley?Davidson, Yamaha, Honda, Ducati (Tell Ducati of Sioux Falls we said Hi), BMW, Triumph and all other four?stroke motorcycles. It may be used in off?road applications, including ATVs, UTVs and snowmobiles, as an alternative to DOMINATOR® Octane Boost (AOB). 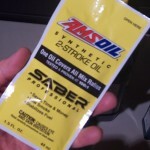 Is AMSOIL Motorcycle Octane Boost compatible with other fuel additives? Does fuel need to be stabilized for storage when using Motorcycle Octane Boost? Yes, Motorcycle Octane Boost is compatible with other AMSOIL fuel additives, including Quickshot (AQS) and Gasoline Stabilizer (AST). Motorcycle Octane Boost does not contain a fuel stabilizing agent. AMSOIL recommends treating fuel with Gasoline Stabilizer for long?term storage. AMSOIL’s 2nd oldest product still raises the most eyebrows!! That’s because the company firmly stands behind the lofty 100:1 in any two-stroke premix motor. It took me years to also trust that number but not only did I follow it with impressive results, I was able to question the lab techs about it in person at the AMSOIL HQ in Wisconsin. It’s a good sign when small engine retailers send their customer to our Sioux Falls shop for oil for their new STIHL products but for years prior I had several Texas customers swear by it in their commercial landscaping equipment being ran full throttle all day in the Texas heat. Then at the HQ I learn twice now Southwest Research tested it against the competition (50:1 until the equipment failed) and ours starting at 100:1 and then later to 300:1 without failure. Yes, if the engine fails while using AMSOIL Saber Pro at 100:1 and it is an oil related failure, they will replace the motor. They do not hide from this!! And your warranties are secure. The company assures that if you are not comfortable at 100:1 you can rich it up to 80:1 or even any OEM mix ratio if you want but the performance will not be optimum. They also showed the dealers at the yearly training that even at 100:1 the customers equipment will experience less fouling, remain cleaner and last longer. This is because the overall temperatures will be reduced and you can operate at the same speed using less fuel. The evidence is staggering. It’s a smart choice for owners of Husqvarna, Echo, Stihl, Lawnboy, Homelite and more. It is just as impressive and adds performance to motorcycles, hard ridden dirt bikes and scooters. Some moped owners claim an extra 4 or 5 MPH never reached before. Another thing to take in consideration is the value. The most popular size is the 8 ounce bottle. This bottle is designed to treat six gallons of gasoline. I recommend 80:1 only because it’s easier to mix so that eight ounce bottle will treat the popular 5-gallon tanks. Quarts are available which treat up to 24 gallons and a whole quart case treats up to 288 gallons of gasoline! The gallon is priced even better and treats up to 96 gallons or 80 at 80:1. And the simple Pillow Packs which treat one single gallon. No mistakes. Popular with ice fishing. Here’s our recently published page on the 2-cycle product. 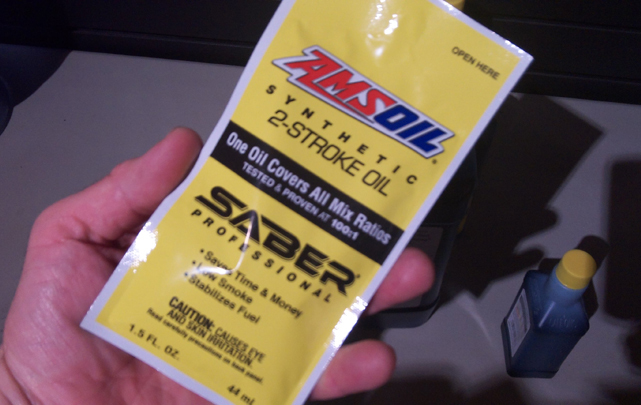 Just on product performance alone we should see the AMSOIL SABER Professional become Sioux Falls’s #1 best selling 2-cycle oil. Eight Ounce bottle treats up to six gallons of gasoline.